Aditya Birla’s Madura Fashion won industry recognition at the recently concluded India Digital Summit for its online venture Trendin.com. “We are continuously looking for ways to deepen the personal connection between the brand and our customer through digital messaging channels throughout the customer journey, says Shivanandan Pare, Head Ecommerce & Chief Digital Officer at Aditya Birla Fashion and Retail Limited. “While email marketing is still the number one digital channel in terms of ROI, it is constantly evolving, and our customers are beginning to expect more from our communications. With Mode Agile, we are able to offer a new experience every time a user opens our email for Trendin.com”. According to Mr. Pare, Mode Agile delivered higher conversion rates when benchmarked against traditional email offers campaign for Trendin.com. “The Happy Hours Sales campaign had times specifying the time of the ongoing sale and this drove urgency. The countdown timer helped increase the email conversion rate by as high as 200% when compared to the average of the preceding monthly campaigns. Open rates showed an improvement by 40%, and an overall 50% increase in conversions and attributed revenue”, says Mr. Pare. This innovation suitably impressed the select awards jury at IAMAI’s India Digital Summit (February 2016). 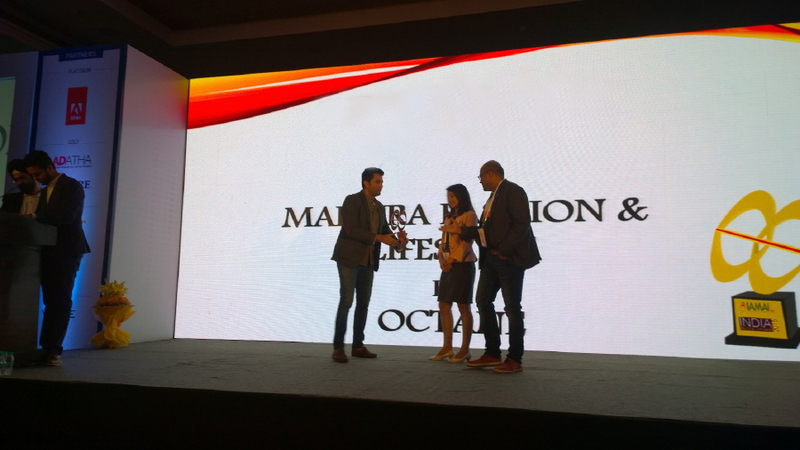 Madura Fashion & Lifestyle’s (Trendin.com) Happy Hours campaign was voted as one of India’s Top 3 Digital India 2016 best email campaigns for 2015. An initiative of Madura Fashion & Lifestyle, Trendin.com is the official online store for MFL brands from Louis Philippe, Allen Solly, Van Heusen, Peter England, People, Pantaloons and University of Oxford. With a product range that caters to women, men and kids, Trendin.com is a one-stop Online Shopping destination for consumers looking for fast fashion as well as premium segments. The Online Fashion Store offers a range of products across categories like jeans, shirts, T-shirts, dresses, tops, winter wear, shorts, skirts, suits, blazers, ethnic sets, kids wear, accessories and much more. Delivering fashionable clothing to over 13,600 pin codes within India, Trendin.com offers a wide range of MFL branded products that are accessible from desktops and mobiles alike. Trendin.com also brings to you personalization options with Van Heusen’s My Fit for men and women. Octane.in is India’s first multi-channel platform for integrated Digital 1:1 marketing campaigns on Email & SMS. Marketers can send integrated campaigns on a clean, spam-free marketing platform; built on intelligent software which is available on demand. More information available at: www.octane.in. ModeAgile.com is the new offering from Octane.in which lets marketers send contextual and agile email content that can be dynamically changed & personalised based on subscriber behavior.